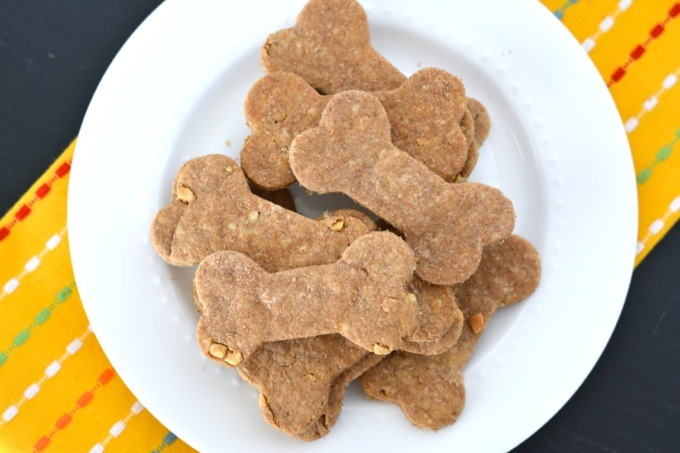 These homemade Peanut Butter Dog Treats are easy to make with three simple ingredients that your dogs will love! They are perfect as an everyday treat, or bake a batch for a special occasion. Tuesday was a very special day! Not only was it Cinco de Mayo, but it was also this furry one’s birthday! Kaiser turned 6 this week. I can’t believe he’s getting to be such an old man. Seems like just yesterday we were celebrating his 3rd (21st in dog years) birthday, complete with his first beer! Kaiser has been a little jealous that his feline sister has been getting so much exposure on the blog lately (check her out here and here), so his birthday was the perfect time to give him a chance in the spotlight. And that night, Kaiser ate my favorite pair of shoes. Luckily Nick made a better impression on me, and the rest is history. I’m still not a dog person, but Kaiser and I have settled our differences. And since he’s seriously the most well-behaved dog in the world, I kinda like him. Ok, I really like him. 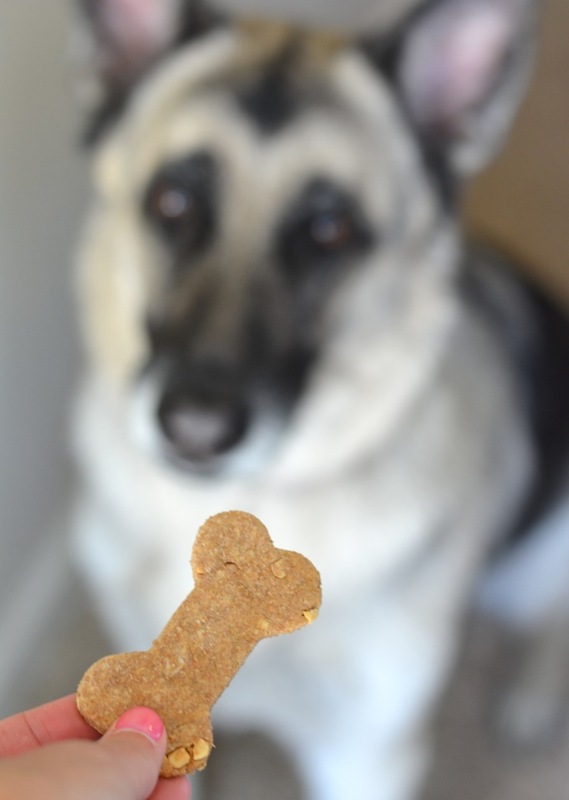 For Kaiser’s special day, I decided to make him a batch of his favorite homemade dog treats. I have made these on the blog before, but it was over 4 years ago and one of my very first recipes– so I decided they could use a little refresh. It’s fun to bake for Kaiser because it doesn’t leave me with a huge batch of sweets just tempting me to dive in. Combine all ingredients in a bowl. Knead all ingredients into a ball of dough. On a floured surface, roll the dough out to about ¼-inch. Use cookie cutters to cut the dough into shapes. Place cut dough onto ungreased cookie sheets. Roll dough scraps into a new ball and repeat until all the dough is cut into shapes. Bake treats 15-20 minutes until slightly browned. Happy birthday to my favorite furry mutt! 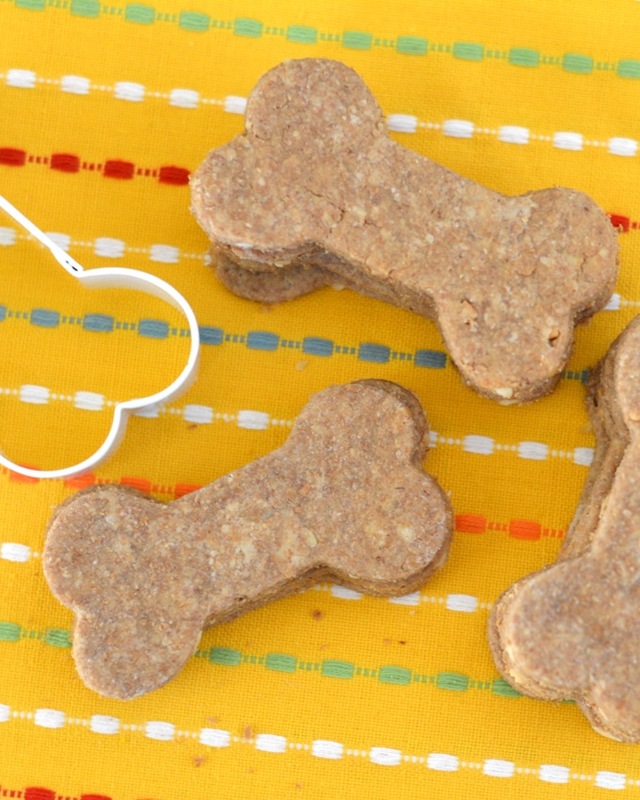 Check out these other homemade pup treats! 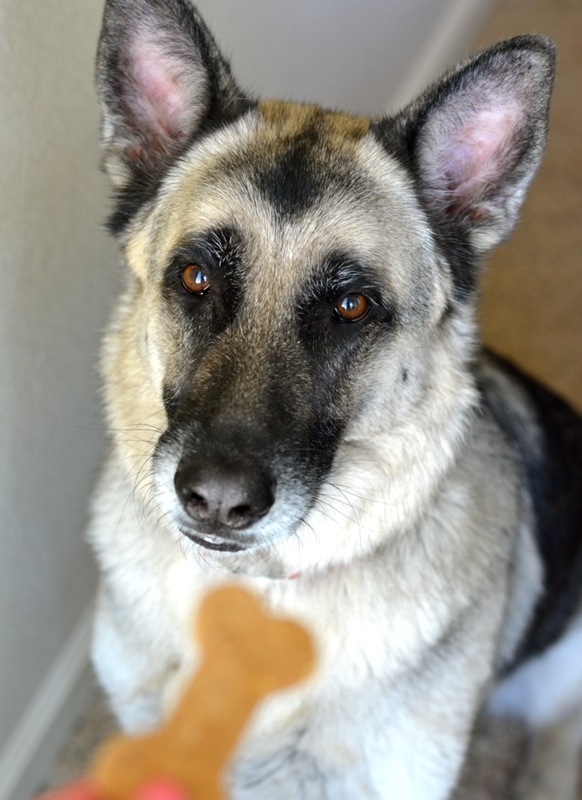 Have you ever baked for your furry friends? What are your favorite things to make? Happy birthday to Kaiser! He’s so cute! And I’m sure he loved his special treat! What a great idea to make these, Jess! Thanks, Gayle! He definitely loved them. I just can’t believe he’s getting so old!! LOL! Hey – that puppy dog has my name! 🙂 In other news, my mom’s dogs would totally love these, Jess! 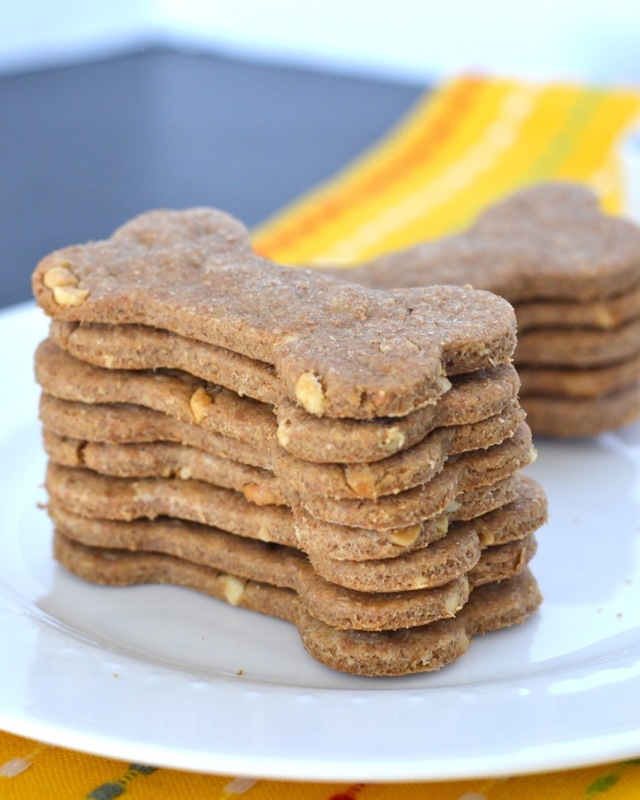 I love spoiling her dogs, so I need to make a batch and send them to her. And your Kaiser? What a doll face! He needs more face time on your blog. I’m a huge cat lover, but that pup can visit these pages ANY time! I would have two very happy doggies if I made these up! Hudson’s birthday is coming up so that will be a great excuse to make them! Definitely!! Gotta spoil the fur- children! This is so sweet! For some reason, making your own dog treats has never occurred to me! I love it… It’s kinda nice to know they aren’t eating a bunch of junky ingredients! Aaw Happy Birthday to Kaiser! What a cutie! These are such fun treats! What a handsome birthday dude you’ve got there! I’ll bet he absolutely loved his birthday treats! Happy Birthday to Kaiser! Such a pretty dog! 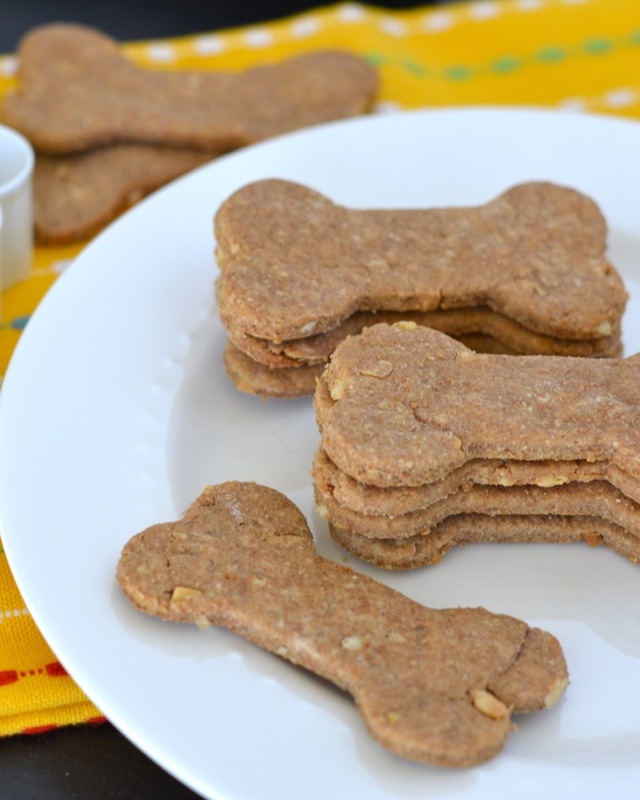 I have never made homemade treats for my dog. I know she would love these! Happy birthday to your gorgeous pup! I’m going to file this one away. I think Gmo would love these! Happy Birthday, Kaiser! He is adorable! I have 4 rescue dogs and I do make them treats. I have a waffle iron type baker that I can make bones in without having to roll out dough. I’ve made them with spent grains too! The pupcakes are cool! I’m definitely going to make some of those. I love making treats with spent grains! Such a great use for something we usually just throw out! They’ll stay fresh in an airtight container for about a week. But you could also throw them in the freezer and defrost at room temp when needed! How long does it take to make and do you have to use wheat flour?